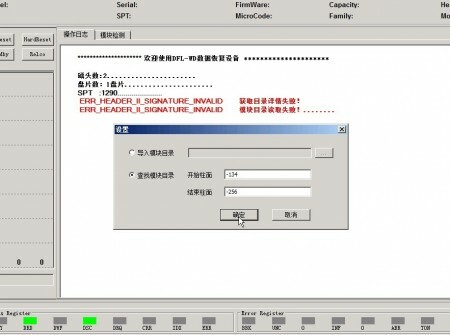 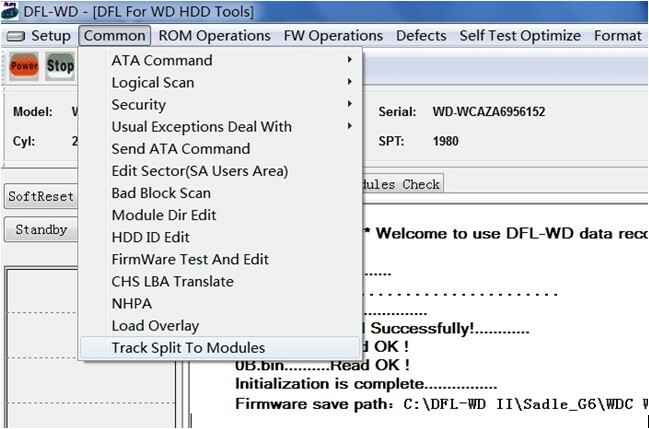 With this new hdd firmware repair feature-‘Track Split To FW Modules’, DFL-WDII is able to repair damaged WD hard drives when some important firmware modules get damaged or missing. 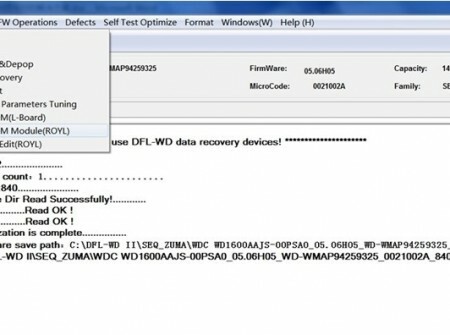 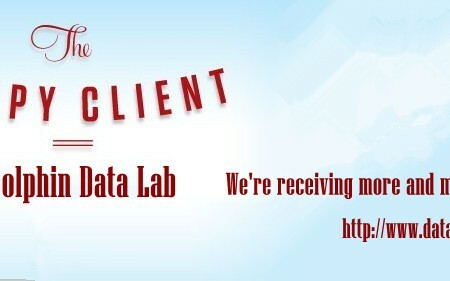 We usually have many undetected firmware damaged WD hdd repair and data recovery cases. 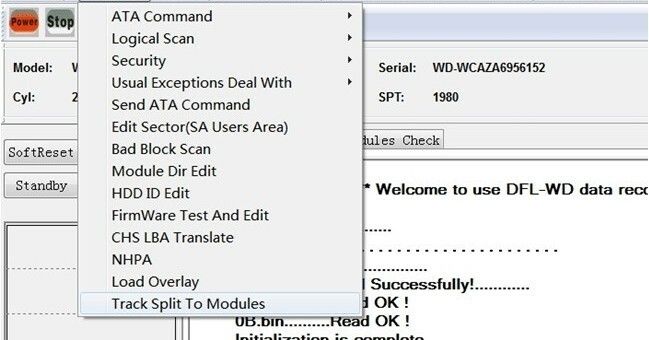 Within these cases, some important firmware modules, such as P-list, ATA module, ROM module, etc, are lost or corrupted and it’s a must for data recovery engineers to find donor firmware modules of them to replace or repair the original ones. 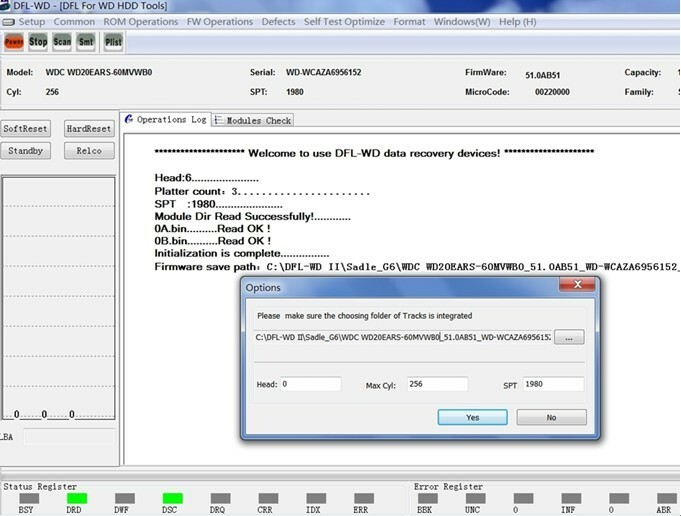 To use this new hdd repair feature, the users are required to backup the full disk’s tracks, load the LDR or access directly to read the full disk’s tracks and then split the important FW modules from the tracks for further hdd repair and data recovery. 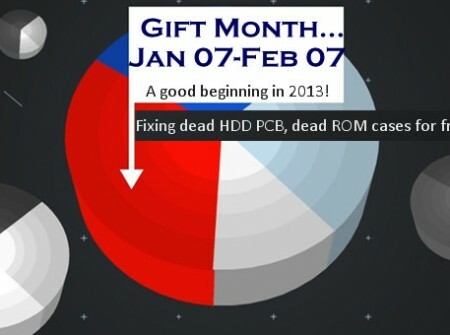 If you want to learn more about this hdd repair feature or this new hdd repair tool, you can email to us by sales@dolphindatalab.com or get a free quote here.